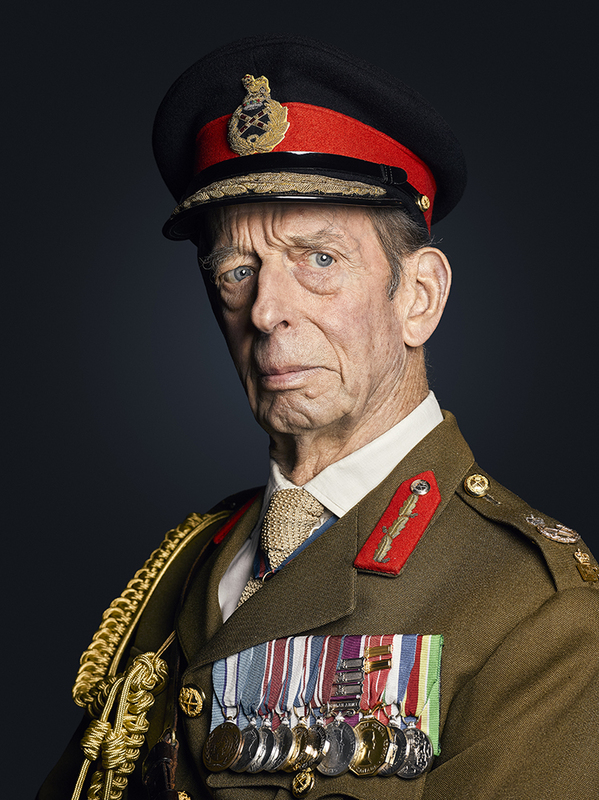 Prince Edward opted for British Army No.2 service dress, with the Rank of Field Marshal, which H.R.H has held since 11 June 1993. Field Marshal has been the highest rank in the British Army since 1736. Since George II created the rank of field marshal in 1736, just 138 men have attained it. In directing His Royal Highness, I opted for a series of dutiful and solemn expressions. These best representing the The Duke who has performed public duties on behalf of his cousin The Queen for over 50 years. The sitting my second Royal portrait commission was very enjoyable, creating a series of historical portraits for a member of the Royal Family.